Podiatrists – Are they an MD or DO? Are you confused about whether a podiatrist is an MD or a DO (Doctor of Osteopathic Medicine)? This is a question that has crossed the mind of many people. In fact, podiatrists get asked this question all the time. Some people have even asked that if they are not an MD, then why would a patient should see a podiatrist instead of a regular practitioner? All these questions are based on several misunderstandings and most importantly, misperceptions about the professions of an MD or a podiatrist. The doctors in both these scenarios are very highly trained. The only difference is in their area of interest. Doctors who have an MD degree are best for general healthcare. When you have a cough or a cold or you have a fever, you go to a general physician. This doctor will be an MD. They are basically a jack of all trades, master of none. 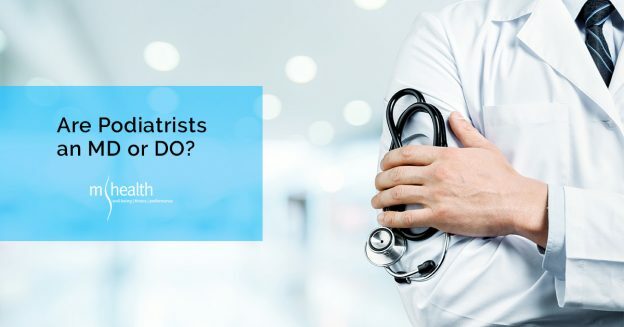 If you are now wondering if a podiatrist is a DO, then you need to know that DO’s are osteopathic physicians. On one hand, you have MD’s who are into allopathic medicines and treatment; on the other hand, DO’s consider the body to be wholly integrated. They do not treat according to specific symptoms. Their approach is rather vivid and instead of immediate cure, they base their treatment for a long-term process to cure the patient. Now it is time to look into what podiatrists really are. Oddly enough, they are neither and MD nor DO. They are DPM’s; they are a doctor of podiatric medicine; they can be both surgeon and a physician at the same time and they specialise in treating the ankle, foot and other related areas of the leg. 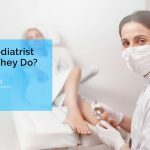 To address the question if a podiatrist is not an MD, then why a patient should see a podiatrist instead of a regular practitioner, there is only one answer. Podiatrists specialise in a certain part of the body. If there is an issue in your body that is related to the foot or the ankle, it would be best to visit a podiatrist instead of an MD. Feet can be a complicated structure to deal with. Not everyone has the tenacity to get the right diagnosis and things can turn from bad to worse within a few days. No one wants that to happen. When your ankle is in a lot of pain, wouldn’t you want to know that the doctor has is a specialist who can treat you immediately? Podiatrists are the most qualified when it comes to treating your feet. Just like an ENT is a specialist in the eyes, nose and tongue section, similarly, a podiatrist is a specialist for your feet. If you thought that the podiatrist had it easy because he/she only specialised in the area of feet, then think again. A physician has to complete 4 years of training in one of the best podiatric medical schools and then spend another 3 years in a hospital residency for training. He/she gets rigorous training of the foot and ankle so that he/she becomes a specialist after 7 years of the entire course. It is after this course ends that he/she gets the DPM degree and not before that. The training of podiatrists is somewhat similar to what MD physicians get in their medical school. Their only point of difference is the area where they specialise in. MD’s do not specialise in a certain part of the body, whereas DPM’s focus on the feet. Podiatrists can also complete their fellowship after they finish their residency training. Are Podiatrists, MD and DO on the same level? Most people think that MD’s can treat anything and everything. That is not really the case. Those who are DO specialise in internal medicine. They try to cure a health problem by investigating the root cause. MD’s, on the other hand, have full knowledge of the human body just like any other doctor. They specialise in common diseases that people have. Podiatrists or PDM’s are specialists on feet and ankles. So, basically, it all comes down to who specialises in what field. Every doctor works hard to get to the position that they belong. There shouldn’t be any doubt about who is better than whom. It is high time everyone realises that and visits the doctor who specialises in the area that is the actual concern of the patient. This entry was posted in Tips Physiotherapy & Osteopathy Melbourne on October 3, 2018 by MHEALTH.